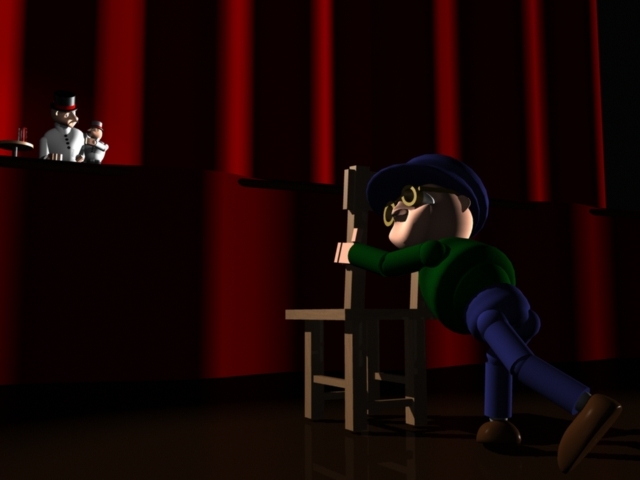 After today's Q&A I made some minor tweaks to my lighting/rendering. Here's the results. 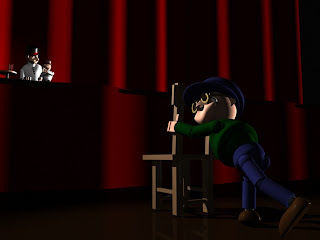 In the above image I changed the chair placement to give perspective lines drawing the eyes even more to the ventriloquist on the stage. 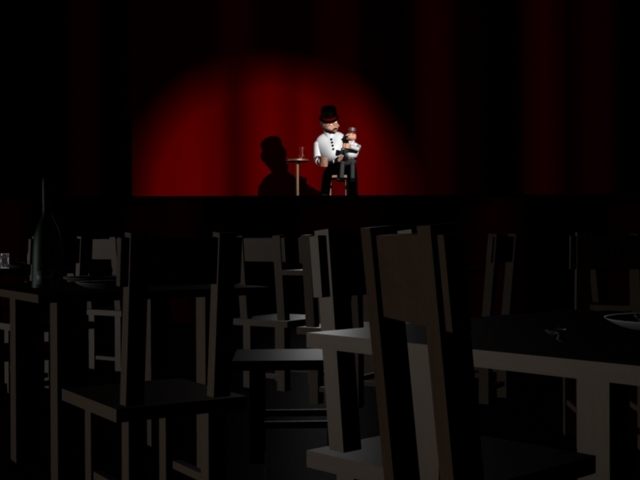 I also decreased the height of the table on stage and moved it closer to the performer. In this image above I moved the child into the scene more and changed the lighting around some more to add a more dramatic effect and give the stage a little more definition. the curtains were all starting to blend together before. 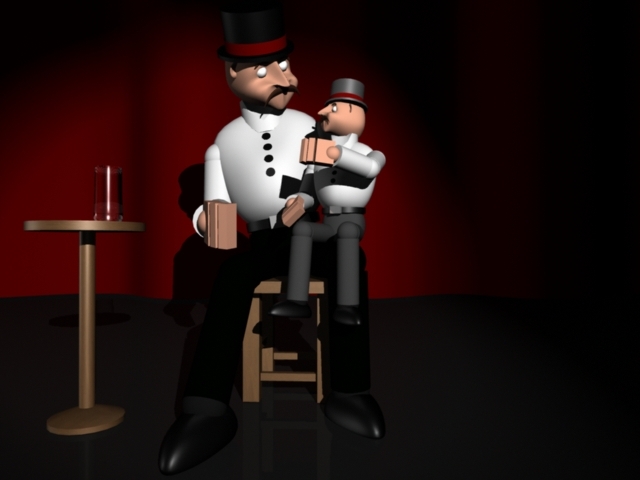 In the image of the ventriloquist I moved him slightly to the left to get him out of the center of the screen. I also changed the table as seen in the previous image. Here you can really see how much better it looks at this height. You can really see the detail in the glass shader on the cup! Overall I loved these assignments! I learned so much in terms of modeling, rigging, shading, lighting, and rendering! Once I start class 1 in the Fall I really won't have time to work on anything like this so I'm very glad I took Maya Springboard! The fear of being unable to create sets and props for my characters is gone! Next week we finally get to do some animation!